In the education sector, squeezed budgets are a constant challenge for the AV departments. 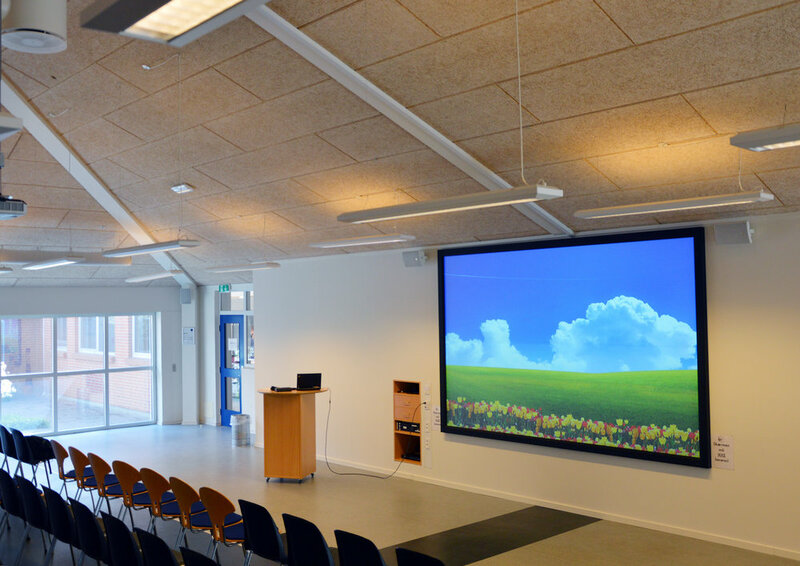 Danish High School, HTX Skjern, wanted to create an auditorium that better suits their lecture and presentation needs. The venue has a lot of natural light. Their existing solution used two screens that were at an angle that made them virtually un-viewable from certain seats. They exchanged this for one extra-large single screen with a much better viewing angle. They chose the dnp Supernova for its significantly better picture quality, better contrast and better colour reproduction. Its light weight and great price made it possible to install a 150” (320 x 200 cm) dnp Supernova XL Screen, which ensured all spectators a superior viewing experience.